nor have i been told why its not..
the song & instrumental are both in stores.. 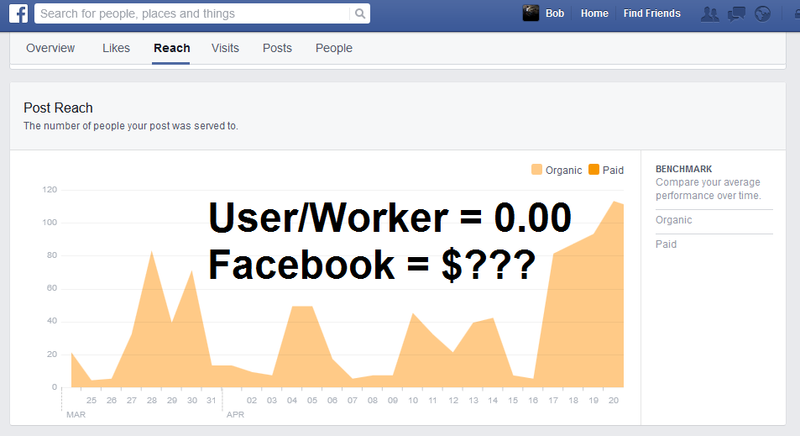 Does the Ease of Using Social Networking Kill Your Coverage, Vibe, Mojo, Statistics and Income? IE: you post a video from youtube and on the facebook page your looking at.. is a "Play Button" wich is easier to hit and saves any new window or app opening.. but just what's the cost of that simplicity to the creator of the content and the impact it has on their will to do more? But posting on facebook, twitter, forums and blogs, any embedded environment also doesn't register as a video view... even the likes of 400 views on Fandalism or Reverbnation, and yet only 6 actual views on youtube. 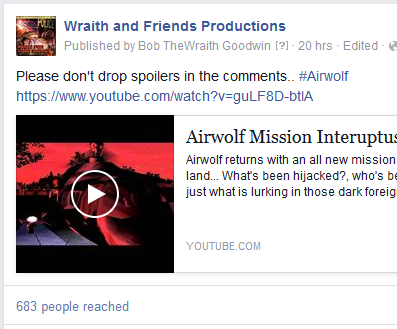 The post was shared into 4 Airwolf communities, 4 locations where my work is essentially viewed by many people in many countries.. and my aw stuff has drawn random fans towards it for over 10 years now, so a perfect place to give something and test a theory. So how close to 99 would it be? in groups with roughly 500 to 1000 members? Meanwhile facebook limits who can see posts and offers you to PAY them money to spam peoples news feeds... while showing 3 or 4 other adverts that slow yours down..
Ive had music videos with 34 hits on Youtube and yet on facebook,, seen by 3493 and 500+ likes, yet their it sits on youtube.. video uploaded a year ago.. 34 views.. yet at least 500+ watched it and bothered to like it on facebook. 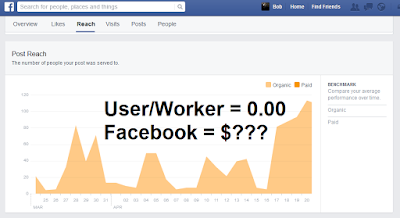 Then as artists we may also sadly learn most users have ad blocker plugins on their firefox or opera (web browsers) so fb's ads get through at times and the youtube users ads don't. 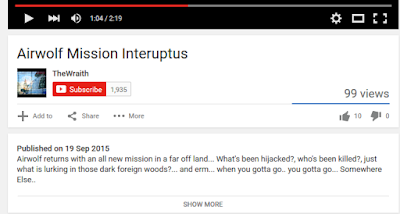 So in the end the video people liked made nothing, never really represented nothing and if anything, sits on youtube with major crap stats making it look worthless. In light of this, Youtube have got the option to "only playback on monetised platforms" that'll stop loads of people watching videos and a good % of them will have no fkn clue why videos wont playback... Then there is also the "Disable Embedding" option, meaning the video will ONLY play on the Youtube page.. so the UPLOADER (that poor fkr who put the time and effort in) would maybe not just get the VIEW.. count.... but also maybe the TWO ad hits.. But this zero reward for time served is starting to get to a lot of artists & editors. it's time people logged into youtube and supported the creators of the content they enjoy watching, or at some stage more and more people will walk away or lock down settings. If that had been a facebook post it would of been more like 1500 views on youtube and yet seen by 4.9 million on facebook. Advertising often pays for a lot of things people never consider. I would be interested to know peoples views on social media, primarily the impact (based on its ease of use) over what statistics we loose because of it. Am i the only one who sees this problem, or is this also annoying other people who put hours and hours in only to see how bad some stuff looks in some places due to the lack of reported stats & feedback? This isn't for a course or a book or anything, im just curios as to am i the only one seriously annoyed with the decline in numbers and input that has diminished over time for most people due to websites not co-operating with each other. Meanwhile.. where is the feedback.. there is no 300 comments, no 300 likes, no will to go on..
what we get is 1000+ people reached and a sense of what we did was crap... yes / no? 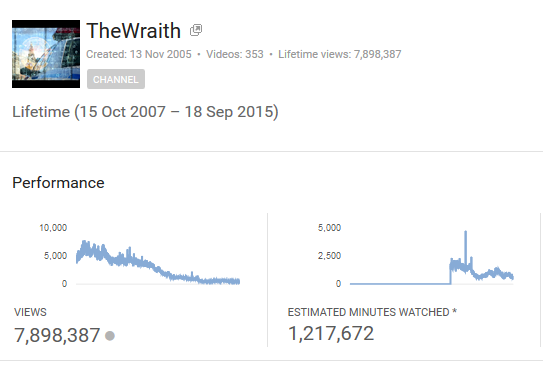 .. there are Millions of minuets, thousands of hours, masses and masses of views missing between NOV 2005 and and OCT 2007... Millions.... (ive noted in the past i still get comments today posted 4+ years ago and may of been marked as spam) their still trying to recover lost data. Meanwhile they all push away members with enforced features no one wants, while we help pay their bills?.. see Microsoft are doing away with onedrive Groups.. Dejavu from MSNgroups right? Should you be on Every social media website? Is it even worth the hassle of being active on every music or media site? Anyway's i decided to have a go at If IT Be Your Will, by the legendary Leonard Cohen.